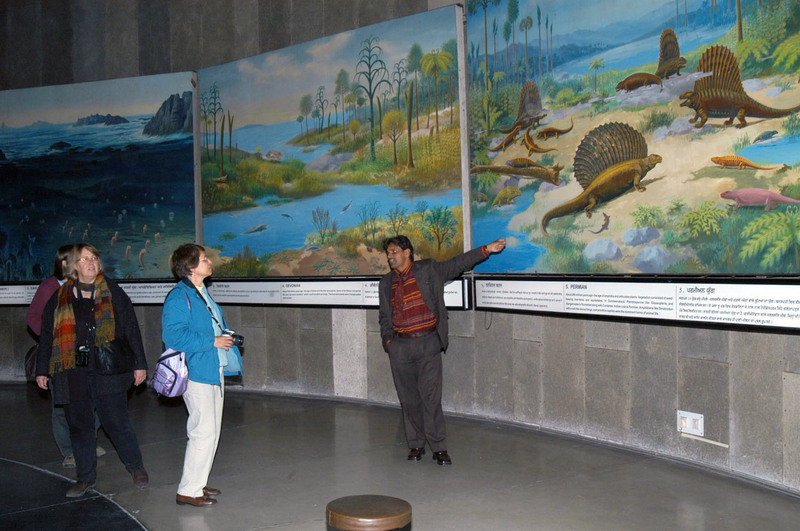 These sections showcase an unique and rare natural heritage of the country which is comprised of original geological, archaeological and paleontological findings supported with textual panels and images. The galleries serve as a mirror for prehistoric life and constant reminder of man's humble beginning. It is also a pointer to the fact of unity of life, so that humans may be more responsive to their environment and surroundings which is of paramount significance to their survival and onward evolution. Above all, it aims at bringing geosciences and biological heritage closure to society and eventually promoting geo tourism by exciting visitors with our royal past.